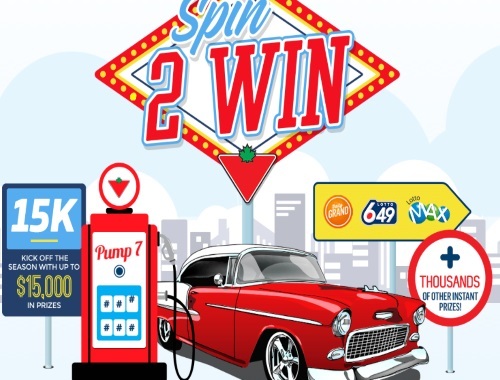 Canadian Tire has a new Spin To Win contest! Sunny days are back, and Canadian Tire wants to help you celebrate! Enter now for a chance at winning an ultimate backyard bonanza prize pack! 1st prize pack includes - A Napoleon BBQ and grill gear grill gear along with a year of free propane plus a Canvas outdoor patio set including fire table. 3rd prize pack includes - A 12 pc. Lagostina Commercial Pro Stainless Steel Cookware Set, KitchenAid Professional 5 Plus Series Stand Mixer and more. Contest closes June 5, 2017. Contest open to Ontario residents only.